The 3-star Hotel Montanushof is located in the city of Grevenbroich, in the middle of the Western German cities (Cologne, Bonn, Aachen and Dusseldorf). We offer very comfortable accommodation for our guests and trade fair visitors. 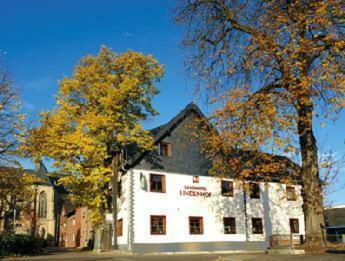 This family-run, 3-star hotel offers comfortable accommodation and free Wi-Fi internet access beside the S-Bahn (city rail) station in Grevenbroich, a 30-minute train ride from Düsseldorf's main station. Hotel położony jest zaledwie 10 minut spacerem od centrum Grevenbroich, 5 minut drogi od dworca kolejowego i oferuje komfortowe i nowoczesne pokoje w spokojnej okolicy.